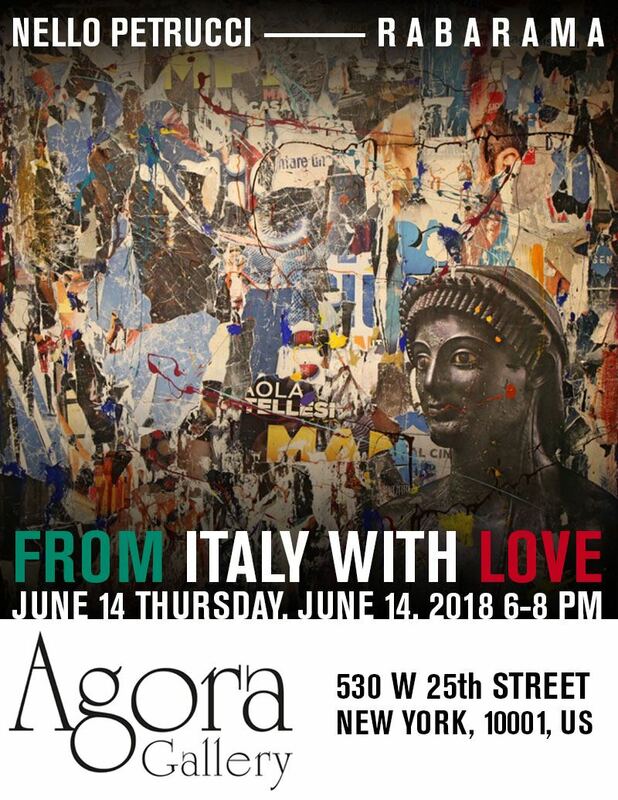 From Italy with Love is the first in a series of annual exhibitions presented by Agora Gallery featuring works from contemporary Italian artists. This iteration, organized in collaboration with Contemply, Florence, Italy features works by six artists who use painting, sculpture, collage, and photography to expand upon the figurative tradition historically associated with Italian art and culture. Utilizing diverse approaches to interrogate old themes, the artists in this exhibition convey varied perspectives on the body. For Nello Petrucci, newspaper clippings, photographs and film posters are the starting point of a multi-layered world. His works bring collage and painting together in unique fashion. 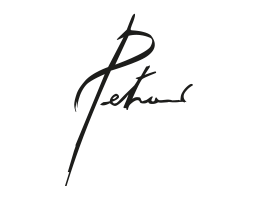 Building off of the strong compositions and graphics of what he calls “captured images,” Petrucci breaks those images down into their component parts and reassembles them. He places the conflict found in the original posters and clippings into a new, abstract context, creating dense networks of torn paper combined with bold drips and strokes of bright acrylics. The resulting pieces have an air of freedom and spontaneity while remaining meticulously composed. The artist says that by incorporating both composition and decomposition into his images, he is able to create multiple points of view. Each work becomes a sort of puzzle, allowing the viewer to become an active participant in its meaning. Having worked in the film industry an actor, cameraman and set designer, he has internalized the cinema’s ability to create drama and meaning through color and movement, and he recasts that ability to powerful effect in his collages. Petrucci lives in Pompeii, Italy.